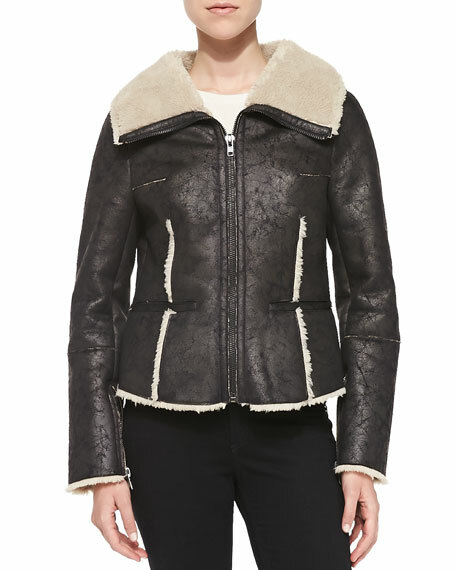 Velvet by Graham & Spencer offers up an animal friendly aviator jacket to compliment your style in faux-suede lined with faux-fur. 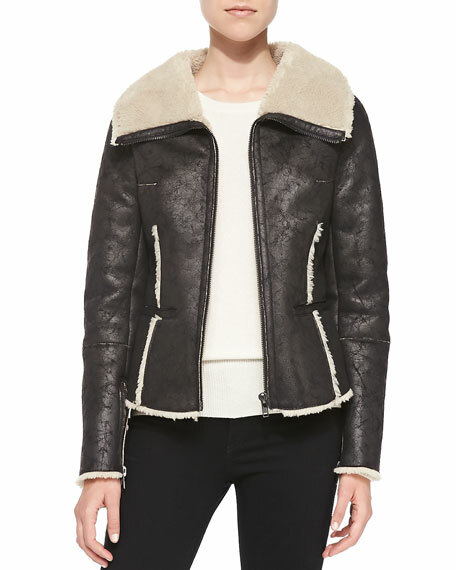 Velvet by Graham & Spencer faux-suede (polyester) aviator jacket. Approx. 22"L front, 21 1/2"L back from shoulder to hem; 25"L sleeves. Faux-fur (polyester) lined wide lapels, cuffs, and seams. Two welt pockets at waist.